Found a small family bakery called Levain on the corner of 5th and 24th. Delicious baguettes! My video review of the new Photoshop CC. Enjoy! Looking for a personal productivity app. Any suggestions? 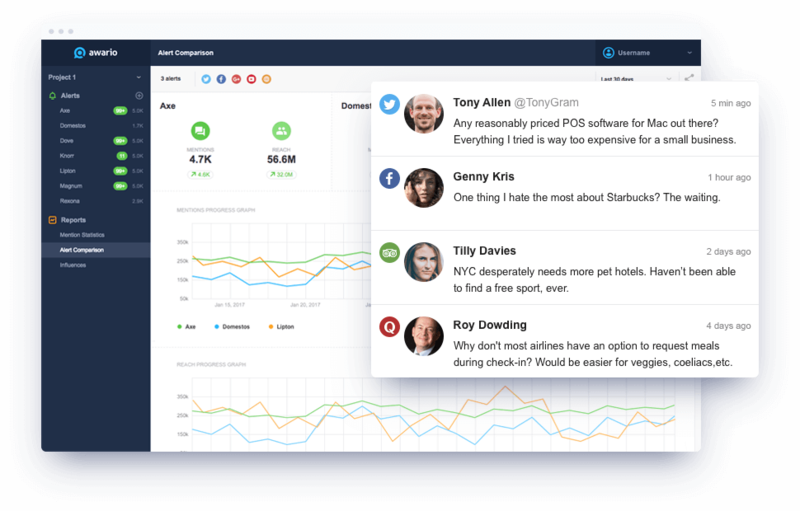 The Web is talking about your business. Find these conversations and join in. 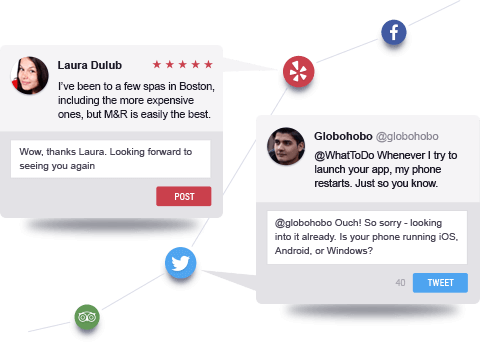 Instant mentions from all around the Web and social media. third-party data provider, we crawl over 13 billion web pages daily, in addition to the APIs. 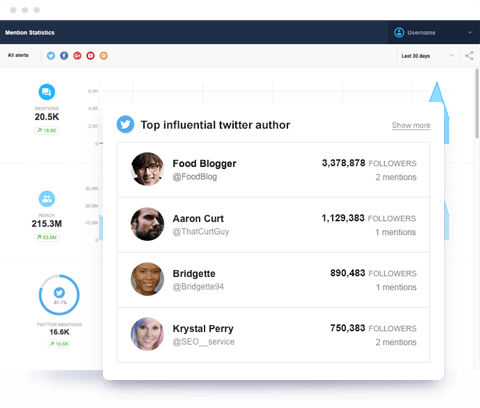 So when we say Awario is the most immediate way to learn about new mentions, we aren't messing around. 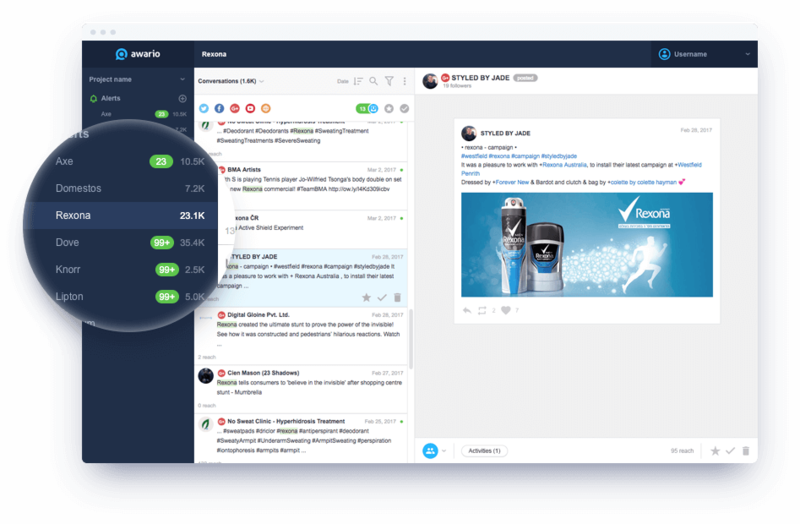 Find important discussions, join them in real time, and spread the word about your product, service, or content across social and the Web to reach new audiences and trigger word-of-mouth marketing. 42% of consumers learn about new products and services on Twitter. Social media is full of invaluable market information and consumer intelligence - but it's also full of noise. 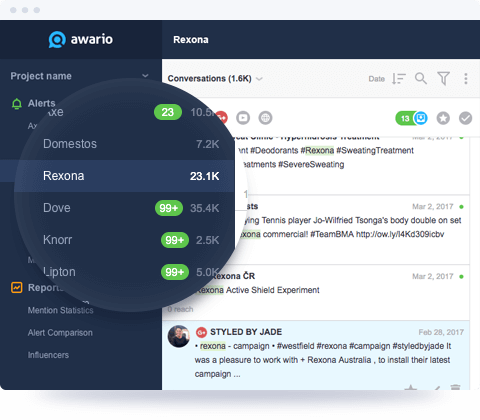 Sieve out meaningful customer insights with Awario to understand your audience better and marketing campaigns. 71% of companies admit that market insights acquired from social media improved the results of their marketing efforts. 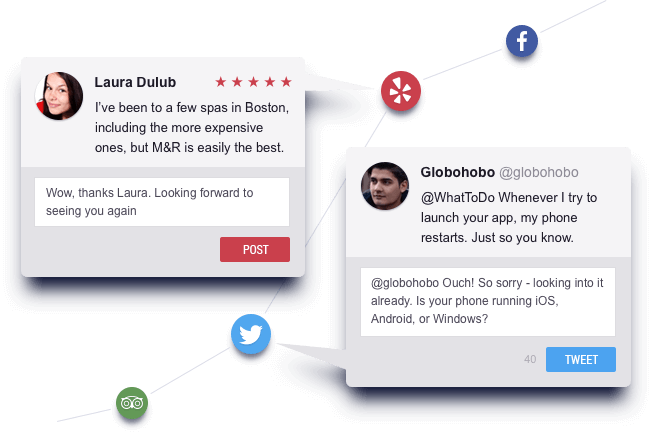 Take your customer service social. 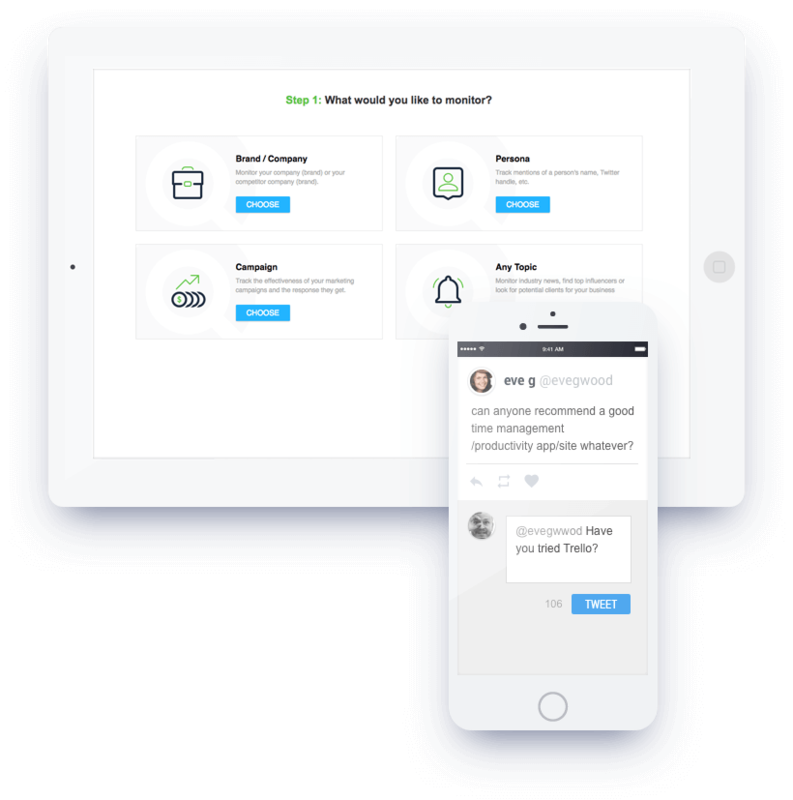 Answer clients' questions, follow up on positive and (ahem) negative comments, and build meaningful relationships by always being there for customers when they need you. Consumers spend from 20% to 40% more with companies that engage and respond to customers over social media. 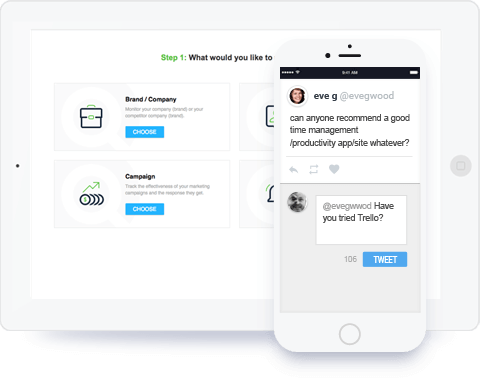 Discover potential clients looking for products like yours, and turn prospects into leads by being the first to answer their questions and offer solutions. 85% of consumers do research or ask online before making a buying decision. 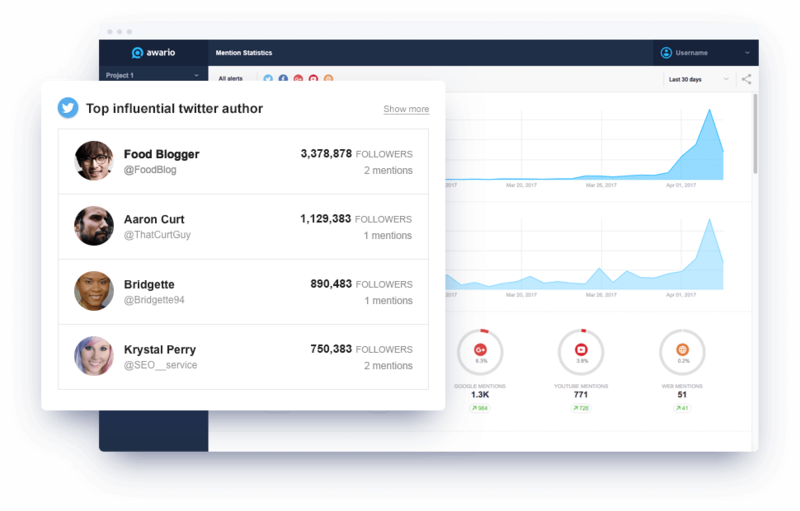 Easily identify industry influencers with Awario's analytics, and connect to them to develop impactful relationships, start business collaborations, and market products to (and through) the most influential people in your niche. Daily signups for home decor site One Kings Lane increased by 90% after an unpaid mention in Gwyneth Paltrow's influential blog. See how Awario is helping our customers grow their business. This might be the perfect thing for me to add another service each month and enhance the PR and reputation management work I do now. I’m stoked on the potential it has. I've already added this to my existing clients and have made my money back in minutes. 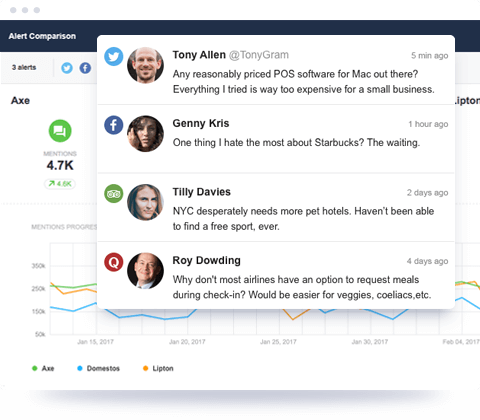 Awario is a must-have for SEO and customer service. Why SEO? It shows you the easiest places on the web to get quality backlinks! Go to the places talking about your business and engage the conversation. For customer service - you have an opportunity to speak to dissatisfied customers who are voicing their concerns. The reality of this tool will be massively underrated or not understood. I can already see an extra income stream coming from this for clients. Once you learn how to use it, the intelligence gathering from this in terms of brand mentions, competitor research and identifying new trends and more. There is just so much right with this and not a lot wrong at all. It's so good that I will be surprised if people want more. The reputation management feature of this in itself is beyond measure and the ability to highly target your intel campaigns is phenomenal. Awario is great for SEO and to find new clients. It is easy to learn, and I just can't push this positively enough. This product is unbelievable. Awario cuts research time by 90% and makes life so much easier to put everything in perspective. This tool shows the BIGGER PICTURE. Competitor research, hashtag research and identifying trends are just a part of my initial discovery and mixing and matching data looks like there are other hidden gems lurking around. I'm just on my 2nd day of discovery. This is industry grade stuff! When you use it, make sure you use Boolean Search or "advanced search". If you don't know programming, ask around, or play with it, or just ask Awario for help. The real magic is in the advanced search!